The Legislature is certainly getting busier. Sessions are longer as the House and Senate are considering bills that have been reported out of the Legislative Joint Standing Committees. When the members of the committees don’t all agree on whether a bill should pass or not, it’s called a divided report. These are the bills that are most often debated on the floor and are the subject of roll call votes. We have voted on issues like Real ID, instituting the popular vote for president and whether to allow statutory exemption from road posting for vehicles carrying animal bedding, among others. In the Environment and Natural Resources Committee, we have been working on the very complicated and technical issues involved with metallic ore mining. The issue has been revisited for the last 5 years and has been controversial. The committee currently has 6 mining bills in front of us. We have also heard bills regarding planning for sea level rise, subdivision changes, shoreland zoning, milfoil, solid waste management, product stewardship and will soon be hearing about water quality standards and fracking. Rep. Rich Cebra (from Naples) and I worked together across the aisle to address the issue of septic waste being dumped overboard into our lakes, ponds and rivers. My bill, LD 357 has passed through the House and hopefully will pass easily through the Senate this week. Rep. Cebra and I, along with the cooperation from the Department of Environmental Protection and Inland Fisheries and Wildlife, increased the minimum fine for the first infraction and insured that signage educating people about the issue will be posted at boat launches across the state. Over the next few weeks there will be debate on many issues, including the budget. It is my hope that we will be able to pass a budget that is fair, fully funds 55% of state aid to education and doesn’t shift even more of the cost back onto property taxpayers. Several students from the district have signed up to act as Honorary Pages in the House. If you are interested in the Honorary Page Program, please contact the Office of the Clerk of the House at: 287-1400. The page program is a great way for kids to learn more about how the Maine House of Representatives works. I can be reached at: jessica.fay@maine.legislature.gov or by phone at: 415-4218, if you would like to discuss these or any other issues. I am also holding “Constituent Office Hours” throughout the district; the next date is scheduled for May 2, from 5 p.m. to 6:30 p.m. at the Casco Town Office. Additionally, Sen. Diamond and I will be holding a Town Hall meeting on Saturday May 6 from 10 a.m. to 11:30 a.m. at the Raymond Public Safety Building. 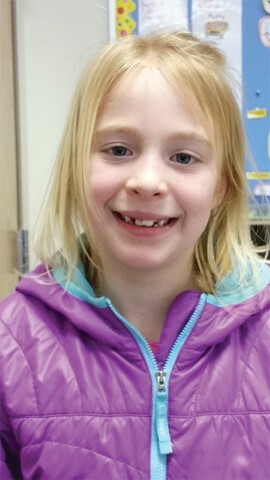 Mia Dingwell, a first-grade student at Raymond Elementary School, is The Windham Eagle’s student of the week. The seven-year-old enjoys fishing, painting and working with craft projects. Dingwell said that studying numbers and learning something new is what makes education fun for her. Her goal is to go to college and become a veterinarian. Favorite holiday: Christmas because you get to spend time with family and share presents. FirstLight Home Care of Southern Maine, a leading provider of non-medical home care, has been recognized as one of the country’s top home care providers by the 2017 Best of Home Care Awards. The awards are presented annually by Home Care Pulse, a third-party research and quality assurance home care satisfaction measurement firm. Based solely on feedback from clients, the Best in Home Care Awards honor home care providers that exemplify excellence in home care. FirstLight Home Care of Southern Maine earned a Provider of Choice Award, which recognizes home care companies with performance that qualifies them as a Home Care Pulse Certified-Trusted Partner for at least six consecutive months, and that rank in the top 50th percentile in two or more client satisfaction categories. independence where they live. Traditionally, home care providers focus exclusively on older adults who are aging in place. But, FirstLight also delivers services to adults with disabilities; those recovering from illness, injury or surgery; those adjusting to major life transitions; or anyone aged 18 or older who may need assistance. FirstLight Home Care of Southern Maine is owned by local entrepreneurs Carol Larkin and Peter Gartland and provides services to people in Southern Maine and surrounding cities and towns. The home care leader delivers Personal Care Services, which means they provide assistance with the activities of daily living, such as bathing, mobility, meal preparation and more. It offers Companion Care Services, like light housekeeping and laundry, errands and transportation and even visits from caregivers to keep clients company. FirstLight also offers specialty services, such as its Dementia Care, Travel Companion Program and Respite Care, to meet the unique needs of its clients. Best of Home Care providers contract with Home Care Pulse to gather feedback from their clients via live phone interviews conducted monthly. Because Home Care Pulse is an independent organization, it’s able to collect honest and unbiased feedback. Non-medical home care is the fastest-growing healthcare segment, with 40 percent growth expected between now and 2020. 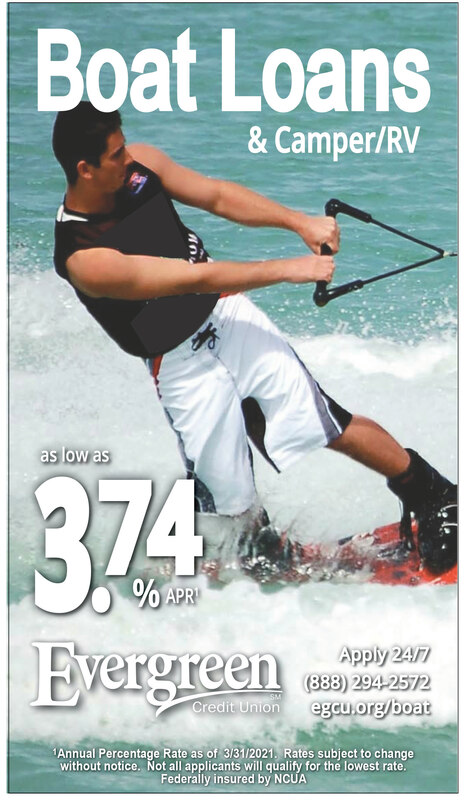 This growth is being driven largely by the explosion of the population aged 65 or older. According to a study by the AARP Public Policy Institute, 87 percent of adults in this age bracket want to stay in their current homes and communities as they age. Home care can help them do just that. As an increasing number of consumers rely on home care to provide the support they need to live independently, programs like the Best in Home Care Awards are a critical component in helping them make the most informed decisions about home care services. 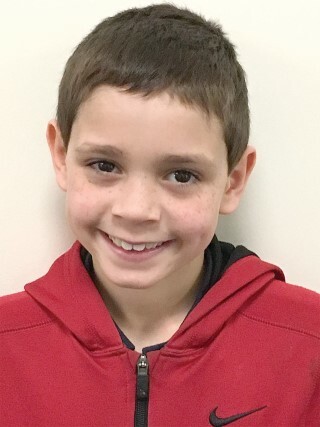 Geovanni Mateo, a second grade student in Mrs. Tarr’s class at Raymond Elementary School, is The Windham Eagle’s student of the week. Mateo enjoys playing Minecraft and other video games. He also loves camping, fishing, hiking, and, “racing my remote control car with my father. Mateo lives at home with his Mom (Alyssa), Dad (Joel), younger brother (Anthony) and a pet fish named Charlie. What is your greatest accomplishment? I was selected as Student of the Week! What do you do in your free time? I play games with my brother and build with Legos. Loon Echo Land Trust is celebrating the 47th anniversary of Earth Day by hosting two, free, special events for the public in Bridgton, Maine on Saturday, April 22. Help beautify your community in the morning and stretch your legs with a hike to the summit of Bald Pate Mountain in the afternoon. Loon Echo along with, Lakes Environmental Association (LEA) and the Bridgton Community Center are hosting an Earth Day Cleanup starting at 9 a.m. at the Bridgton Community Center on Depot Street. This year participants will be giving back to the community and focusing on the downtown Bridgton Area. Before rolling up sleeves and putting on work gloves, Loon Echo and LEA staff will take a moment to remember former LEA staff member and close friend Adam Perron, who helped establish the Bridgton Earth Day clean-up partnership. After the Earth Day clean-up, the Bridgton Community Center will provide a free cookout for participants, serving up a delicious luncheon. The day will conclude with a short walk in Pondicherry Park. Work boots, gloves, bug spray and water are recommended. This program will run approximately 4 hours. In the afternoon the public and clean up volunteer are invited to join Loon Echo, for the 1-hour hike to the rocky summit of Bald Pate Mountain. 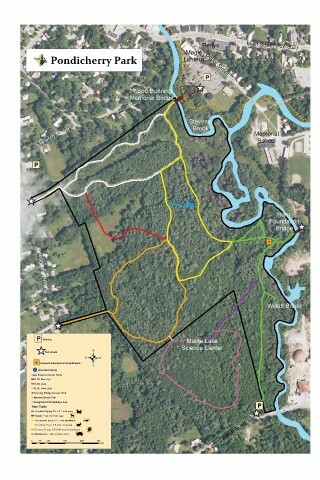 Participants will meet at the main parking area for Bald Pate Mountain Preserve on Rt. 107 in Bridgton at 3 p.m. At the summit hikers will share music, poems or stories that embody the spirit of the day. Sturdy hiking boots or shoes, water and snacks are encouraged for this moderate, 2-hour round trip hike. Loon Echo Land Trust protects nearly 6,700 acres of land and manages 31 miles of multi-use trails in the northern Sebago Lake region. Its mission is to work with the local residents to conserve the region’s natural resources and character for current and future generations. Loon Echo serves seven towns including Bridgton, Casco, Denmark, Harrison, Naples, Raymond and Sebago with an area of 320 square miles located directly north of Sebago Lake. Loon Echo works within its service area to safeguard water quality, preserve scenic gems such as Bald Pate Mountain, and provide outreach and fun educational programs to the public. Loon Echo assists landowners to take steps to ensure future generations will benefit from the preservation of their lands. Member support is what enables Loon Echo to carry out their mission and provides funding for their land conservation and stewardship endeavors. For more information about upcoming events or ways you can support Loon Echo Land Trust, go to their website at: www.lelt.org or call: 207-647-4352. The book took five years to write, due to not knowing what or what not to write. “I would work on it a little bit and walk away from it; come back a little while later and work on it. I kept doing that,” explained Beane. Covering a span from 1967 to 1989 with the PFD there were so many instances, so many experiences, good and bad, that it took time to narrow down what meant the most and what affected him the most. To this end he shared his first real experience; it happened not long after being hired by the department. “The first rescue I did was when I had only been on the job two weeks. I was asked to go inside to the second floor, where flames and smoke were billowing out and do a search.” What he found was an elderly gentleman in his 80s looking dazed and confused. “I took him by the hand and led him outside to safety. That was my first save,” said Beane. Beane’s skills were acquired through training in Usui, Karuna and Lightarian Reiki along with 70 years of what he calls, “life school”; observing and participating in the human condition. Currently he is working with veterans and those who have developed some kind of cancer. When he is not practicing the craft of healing, he is working on an idea for what would be a third book. This one is a murder mystery with a touch of romance. Asked if it was more than an idea and actually in the works Beane simply replied, “Yes. It’s on my computer.” Will this one take five years to complete? “No,” he replied with a chuckle. The Raymond Village Library is working to provide new, convenient services for its patrons. Beginning April 1st free notary services are available by appointment. “We discovered that Library Director Allison Griffin is a notary, and her willingness to offer this service to assist our library patrons made sense,” said Library Board President Sheila Bourque. A phone call to the library at: 207-655-4283 will secure an appointment for this service. The Raymond Village Library continues moving forward with another new resource: its own YouTube channel featuring video tutorials on topics to help patrons use its services. The first video in the series, “How to Access Your Library Account,” demonstrates how to access the library system to view your account and find the answers to questions like, “What do I have checked out? When are they due?” The video also walks you step by step through how to reserve, place holds and renew library materials. “The use of this technology to assist our library users is a wonderful way to teach new skills and show the many resources the library has to offer,” said Library Board President Sheila Bourque. The channel can be accessed from the library’s website at: www.raymondvillagelibrary.org in the video gallery. The Library is also organizing this year’s town celebration to be held on July 21 to 22, 2017. “The spirit of the celebration is right in line with the library’s mission to serve as a community center for Raymond. We are thrilled to be provided with this opportunity,” said Library Board President Sheila Bourque. The family friendly event is in its third year, thanks to the Business Revitalization Committee promoting it the first two years. The village parade will return with a new feature of Raymond youngsters dressing up and marching in their favorite costumes. Crafters have been invited to show their talents as part of events at the Sheri Gagnon Memorial Park. The library is also adding new activities: a boat parade with decorated boats competing for Best in Show, a pancake breakfast, and a bike decorating contest. Final schedules and registration forms for the street parade and the boat parade will be available soon on the library’s website. If you want to help or be part of an event, drop an email to: president@raymondvillagelibrary.org. Join the community fun! Too often, we hear about Maine’s older adults, some of our most vulnerable citizens, being taken advantage of. Scams and defrauding schemes target Maine seniors, sometimes causing them to lose their entire life-savings. Nationally, older adults lose an estimated $2.9 billion per year to financial abuse, according to MetLife Mature Market Institute’s 2011 report. Maine’s Office of Aging and Disabilities Services reported that more than 14,000 older Mainers were victims of abuse, neglect and financial exploitation in 2012. We, in the Legislature, recognize that this is a serious issue. I’m proud that we work in a bipartisan manner to ensure we protect Maine seniors. In the 127th Legislature, we passed a law to help Maine’s older adults protect themselves. We funded Maine’s Area Agencies on Aging’s Money Minders program that offers personal financial management assistance to older adults. Money Minders is staffed by volunteers who are matched with adults over the age of 55 who need financial assistance. The volunteers help older adults avoid over-drafting their bank accounts and financial fraud and scams that target older adults. This critical program helps hundreds of Maine seniors. However, there is still much more to do. This year, we will vote on a bill to prevent financial exploitation of older Mainers by clarifying their intent when opening a joint financial account. The measure would require each owner of a joint financial account to answer in writing whether they intend to leave the account to the surviving party in the event of his or her death. I am deeply troubled by the thought that any Mainer could be taken advantage of. That is why I am pleased to be hosting a forum with Maine Attorney Janet Mills where she will discuss fraud, scams and how to avoid them. The Speak Out program will be held Thursday, April 27, at 7 p.m. at the Windham Town Office in the council chambers. The event is aired live on Windham’s public access channel, WCCG TV-7, so you may call in at: 892-0546. If you miss the event, it will be rerun daily. Maine’s seniors are not the only ones targeted by scam artists and this forum is not just for older adults. According to the American Psychological Association, more than 30 million Americans are victims of financial fraud and an estimated 40 to 50 billion dollars is lost to fraud annually. Scammers use clever schemes to defraud millions of people each year. They use phone calls, email and the internet to trick victims into giving them money or personal information. On the Office of the Attorney General’s website, there is a list of tips to avoid being defrauded. There is also a list of common scams that criminals will try to use to steal your identity. You can find that information and more at: www.maine.gov/ag/consumer/scams.shtml. If you are a victim of fraud, please report it to the attorney general. You may fill out their online form at: www.maine.gov/ag/consumer/complaints/complaint_form.shtml or call: 207-626-8800. As always, please feel free to send me a letter at: 166 Albion Road in Windham, call me at: 892-6591 or email anytime at: mark.bryant@legislature.maine.gov. I hope to see you April 27 for my forum with Maine Attorney General Janet Mills. Rep. Mark Bryant is serving his sixth non-consecutive term in the Maine House and represents part of Windham. He serves on the Committee on State and Local Government and the Committee on Transportation. Imagine this. Your friends, Albert and Rosemary Clayton are hosting a costume party at their ostentatious mansion to show their guests the fabulous Pink Puma diamond, recently acquired by Albert Clayton. The guests include members of high society as well as a couple of low-lifes. At least a few of the guests have robbery in mind and if necessary - murder! Is anyone murdered? If so, who? Who committed the crime? Come and find out by attending the “A Costume Party Caper” dinner mystery theater at Spring Meadows Country Club & Golf in Gray on Saturday, April 22 and 29, beginning at 6:00 p.m.
Monies that go toward the theater’s Capital Improvement Fund are used to purchase and maintain sound, lights, and other equipment that are critical to the shows. Tickets for the dinner theater are $38 per person or, a table of eight can be purchased for $288. The price not only includes the show, meal and dessert but gratuity as well. Spring Meadows Country Club has a choice of three wonderful meals to choose from that include Prime Rib, Chicken, or Stuffed Shells. To purchase a ticket, reservations are required on a first come, first serve basis and can be purchased online at: www.windhamtheater.org, or email at: windhamcenterstagetheater@gmail.com as well as calling: 207-893-2098. American Legion Field-Allen Post 148 of Windham has been coordinating the Town of Windham’s Memorial Day Parade and Ceremony for over 20 years. 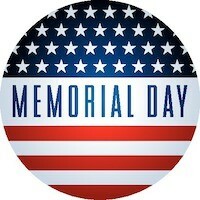 First, please mark your calendar and support the area veterans on this patriotic day. The events start at 9 a.m. with the parade held on the section of Route 202, from School Road to Windham High School, crossing Windham Center Road. Following the parade, there will be a Memorial Day Ceremony in front of Windham High School at the Veteran’s Memorial at 10 a.m. 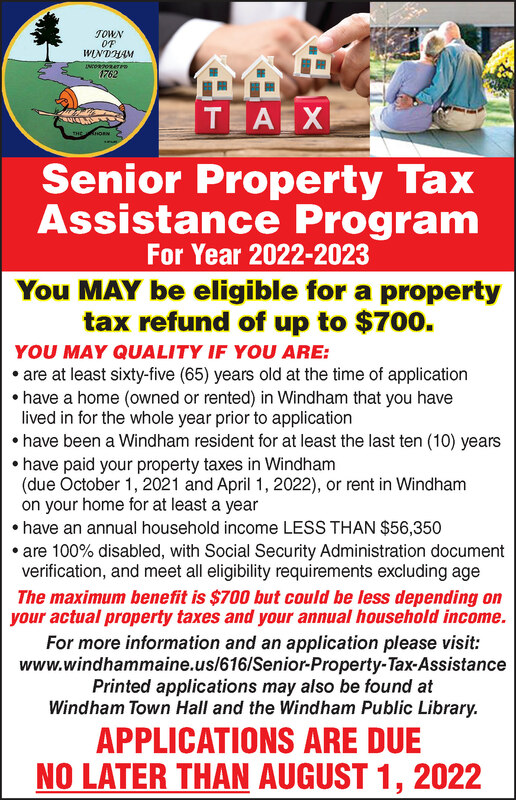 There will also be an open house and picnic at the Windham Veterans Center, 35 Veterans Memorial Drive, North Windham at noon. The Legion is extending an open invitation to any organization, group, or business that would like to assist in honoring our veterans by joining the parade as a unit or a float. 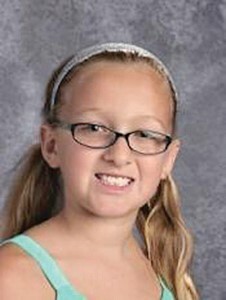 Ava Wardwell, a fourth-grade student in Mrs. Sanborn’s class at Manchester School, is The Windham Eagle’s student of the week. Wardwell states that math is her favorite subject, especially geometry and division. In her free time, she enjoys gymnastics, soccer and swimming and states that competing in a triathlon is her greatest accomplishment. Who is the person who has meant the most to your education at this point? My mom.